Home › Latest Promotions › Tourers to Go! We're Spring Cleaning our Showroom Floor! 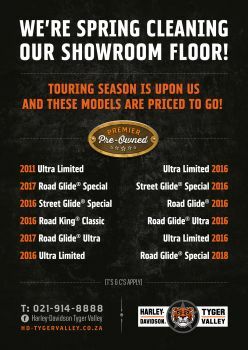 Touring season is upon us and we have some fantastic motorcycles that are priced to GO!